In case you need full carpet cleaning, you can completely trust our dedicated company that has a lot of experience in providing professional carpet cleaning. 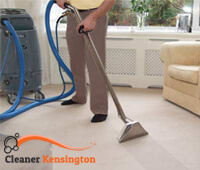 We are currently located in Kensington and we offer great availability to all the customers who need to have their carpets cleaned in a perfect way. We are ready to demonstrate punctuality in every aspect of our work and we assure you that we collaborate with trained and responsible team of carpet technicians. Even If you think that the stains from your favourite carpets cannot be cleaned, contact our experienced company – we will quickly respond to your quests and we will give the utmost of our efforts to remove the dirt and stains from the carpets. Our company works up to the highest standards and all the employees have been preliminary instructed how to manage with the tasks, included in the carpet cleaning. 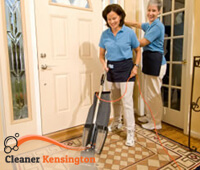 We are available 7 days per week to come and to take up with the complete cleaning of the carpets. Thanks to the modern and innovative methods that we use, we guarantee the best final results. Your carpets will be carefully treated with chemically free detergents and we promise that we won’t damage their surface. The two methods that we apply are dry and steam cleaning and we also use the latest vacuum machines to extract the accumulated dirt. As far as the unpleasant odours are concerned, we provide special deodorizers that remove smells, regardless of their origin. You can completely trust our modern cleaning approaches – we will offer you the most affordable prices for carpet cleaning and we will provide flexibility in terms of working schedules. Our professional carpet technicians will be glad to collaborate with you and to give you additional information about all the steps of the working process.